CAL/OSHA Hazwoper Training From WorkForce Safety Training at our location in Murietta, CA or off-site at your location. Workforce Safety Training offers CAL/OSHA Title 8 §5192 HAZWOPER training courses at our location in Marietta, CA, and off-site at our client’s location. We develop and customize CAL/OSHA HAZWOPER training materials, and conduct training programs that service businesses in need of training and certification. Join us for CAL/OSHA HAZWOPER training courses, or contact us to create a customized program specific to your hazardous material operations! CAL/OSHA Hazwoper Training from WorkForce Safety. 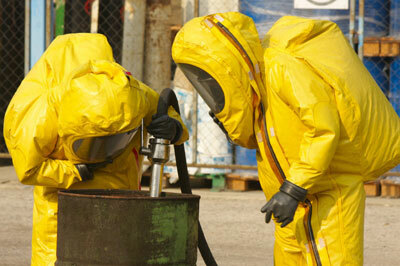 HAZWOPER (pronounced /HAZ-WHOPPER) is an acronym for Hazardous Waste Operations and Emergency Response. 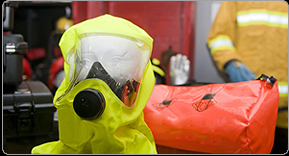 It refers to any persons, environmentalists, employees who are exposed or potentially exposed to hazardous substances, including hazardous waste, and who are engaged in one of five operations covered by the Hazardous Waste Operations and Emergency Response; that are certified by a qualified trainer. 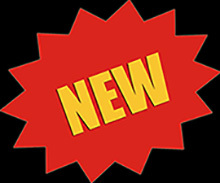 All Workforce Safety Trainers meet or exceed the CAL/OSHA requirement of Title 8 §5192 e. (D) (5). For Qualifications for trainers: Trainers shall be qualified to instruct employees about the subject matter that is being presented in training. Such trainers shall have satisfactorily completed a training program for teaching the subjects they are expected to teach, or they shall have the academic credentials and instructional experience necessary for teaching the subjects. Instructors shall demonstrate competent instructional skills and knowledge of the applicable subject matter.